MacGyver is in Asia to rescue Jack Dalton, who is looking to bottle up and sell magic water from a fountain of youth. They stumble upon an H-Bomb manufacturing plant run by an army general and a rogue Chinese scientist. They steal a videotape as evidence of the plot, and Jack abandons his plan to sell the water because it would attract media and con men to the region. The end credits, because it meant the show was over. Baba, the old man, steps out in front of the soldiers for no reason and is promptly shot. All the soldiers then stand around with one uttering camly, “they’re getting away,” as Baba limps into a nearby cave. MacGyver uses a piece of broken glass from Jack’s test tube to cut into the wire that controls the lock on the cell door. The episode opens with a shot of a Mongolian-looking temple superimposed in front of a fake mountain backdrop. A voice belonging to no one in particular talks of a stranger who will “come from the sky out of the west”. The next shot is of MacGyver dropping into an empty field with a rainbow-colored parachute and wearing a buttoned up collared shirt. One minute later, Jack appears out of nowhere to greet him. MacGyver finds the remnants of a plane that’s ripped apart in a million pieces, yet Dalton is completely fine. We learn Dalton was able to convince the Phoenix board to pay for a trip to find the fountain of youth. Now we get to Mukti, a docile woman who has befriended Jack. Jack tells MacGyver that Mukti is 42 to shock MacGyver and demonstrate the power of the water. To my eye, she does look younger than 42 but it’s not a total stretch. According to IMDB the actress was 30 at the time. Baba, the spiritual leader of the village, seems like Mukti’s father, but then we learn that he’s actually 167 years old and that "he was 36 when your Abraham Lincoln was elected president." He sits in a throne in front of a temple and has long, white hair with a hat that looks like a giant piece of carpet in the shape of a Mohawk. He’s flanked by a large bald man that doesn’t say much but seems friendly. Baba and Mukti speak in philosophical tones, saying things like, "He [MacGyver] will solve our problem. It is written," and "This man is strong of will and mind. He is the one," though it’s unclear what they need or what MacGyver ever does for them, except for taking home a videotape of a bomb-making plant that Mukti hadn’t even known existed. Soon we meet Samad, the leader of the army and twin brother of Mukti, which is supposed to surprise us and does considering Samad is Hispanic. After the Chinese scientist threatens MacGyver and is about to leave the jail cell, MacGyver says something to him that sounds like “Pooka chi.” This is probably meant as a dig, but unfortunately I have no idea what it means. After MacGyver et al escape from the plan with the videotape, they are next shown waltzing around the temple grounds. I guess the army soldiers were willing to build an H bomb but unwilling to follow MacGyver into the holy temple or intercept the rescue helicopter. This is sometimes called "The Lost Episode" because it was not going to air, but the powers that be decided to show it one month after the series finale. We would all have been better off if it had remained locked away. I don’t have the skills as a writer to properly explain how bad this episode is. If you had a friend in town visiting and they had never seen MacGyver before, this is the very last episode I would choose to show them – that’s why it’s at the bottom of my list. Well there you have it, the worst MacGyver episode of all time. It can only get better from here! Wow, never would have believed there's someone else there who not only reviews MacGyver episodes, but has them all ranked! Am I correct that these rankings were all from years back though as having read some of your reviews it seems like you might be inclined to revise some of them. And is there a reason why you only have 136 episodes ranked since there were 139 episodes of the series and two movies? Perhaps you've outlined this somewhere and I've missed it but am just curious. Anyway, I'm gonna add my thoughts and my own rankings in the comments sections of these episodes (unless you'd prefer it if I didn't! ), but promise I won't take it too personally if we don't share the same feelings on the same episodes. I learned long ago that even though people may share a love of this series they certainly don't always agree on individual episodes. As for this episode, I'm with you in that I'm not a huge fan as the whole thing seems off.....very B-movie-ish. It's nowhere near my least favorite though as I've ranked it #118. Acknowledging all of your legitimate beefs, I thought the primary plot idea of the water from this spring being diverted to make a hydrogen bomb by a hostile military was quite clever. Thanks for reading and commenting! 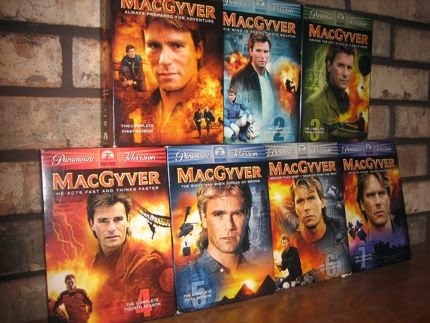 Glad to know of other MacGyver fans out there, and I like hearing where others have different episodes ranked and what the episodes mean to them. When I started this last year, I spent an hour or two ranking all the episodes based on my memory of them - most I remembered pretty well though there are a few that I didn't remember as well. I enjoy re-watching them from an adult perspective and seeing how my memory of the episode jives with my current observations. I'm including the 2 parter episodes (like Lost Love) as 1 episode, that's why there are 136. And the movies I don't remember at all - that's why I'm going to do those at the end and then see where they fit. Thanks again for reading and look forward to your comments! Ah, got it now. Never even thought of combining the three two-part episodes. Needless to say, I rated the two-parters separately. Think you might do a revised ranking after reviewing all the episodes to reflect your changed perspectives? I know there were a bunch of episodes that my opinions changed dramatically about in the 20+ years after their original airings....in both directions. Having been shocked to discover MacGyver's son in the finale that wasn't actually the final episode, I was pleasantly surprised by the strangely out of sequence final episode that wasn't the finale! It hadn't gone unnoticed that you had ranked this one last, so I had always been prepared for something disastrous, but I actually really enjoyed it, if mainly for one thing - the return of Jack Dalton! As I mentioned elsewhere during season 6, it was puzzling why MacGyver's friend had not appeared at all in the last two seasons. Of course I had to assume that Bruce McGill was unavailable for filming rather than just the writers desire not to include him. Jack was an important part of the series and I really felt his absence was a downside, especially when they seemingly tried to replace him with Earl Dent, who wasn't a bad character by any means but the way he was introduced did seem like a ludicrously thought up idea to reinvent the dodgy but likeable sidekick. 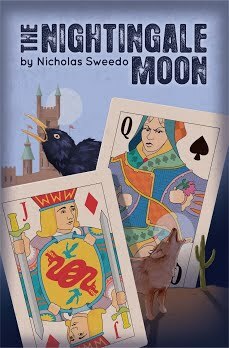 There was much early season style about this adventure and all the plot holes and slightly ropey moments seemed to hark back to the more fast paced fun of the earlier stories. I have a few ideas about some of the points described in your comments. The opening voice was surely Baba providing a mystical portent of the arrival of people who could help free his land. Jack could easily have parachuted out of the plane before it crashed, he was an experienced pilot after all. Baba stepped out in front of the soldiers because he was the holy man and, as one man said, you can't shoot a holy man. His status should have protected him because he knew all about the heavy water business and the fact local people who knew his religion were coerced into the military, the problem was that Samad was ruthless. As for the reason why MacGyver and Jack were helping the locals, it seemed clear to me that they were needed to get information to the west and the UN to bring about the downfall of the heavy water plant which was diverting water from their holy site. I'm not sure I could ever convince you that this episode had any redeeming features, as I will probably never find any in Slow Death, but for me this was by no means a disaster. It wasn't the finest acting, it wasn't emotional, it wasn't the tightest script, but it was fun and familiar, unlike many season 7 episodes. Yeah, I don't think you'll be able to convince me on the merits of this one, but I applaud your effort! I'm with you Ed that this is nowhere near the bottom of the "MacGyver" episodes. It's by no means great and has a clunky B-movie feel but the primary plot element where the hostile government is diverting water from the spring to build a hydrogen bomb was very clever, in itself good enough to stay out of the series' lower tier of episodes for me. I put this one in as #107... which was a re-rank from my initial (I don't remember where I put it originally, but it moved up). It's not a bad episode, but it's not in my top tier either.